This is a discussion of the Reasonable Suspicion Training PowerPoint format, which we recommend for live training (however three other formats are available.) When purchased, we send a download zip file to from our server to own that includes a complete, professionally narrated sound/show program, and also a Reasonable Suspicion Training PowerPoint program without sound (two formats). You will find all the notes for each slide directly on the PowerPoint notes section. Also included are eight reproducible and editable handouts so you can put your program name and phone number on them. Also included is the reproducible Certificate of Completion, and 35 test questions which with answer on separate sheets. Here is an example of the Reasonable Suspicion Training Checklist. You do not need to be specially trained to deliver this PowerPoint program content because of the script we provide and/or the professional narration. You will want to distribute and discuss the handouts for the Reasonable Suspicion Training PowerPoint. 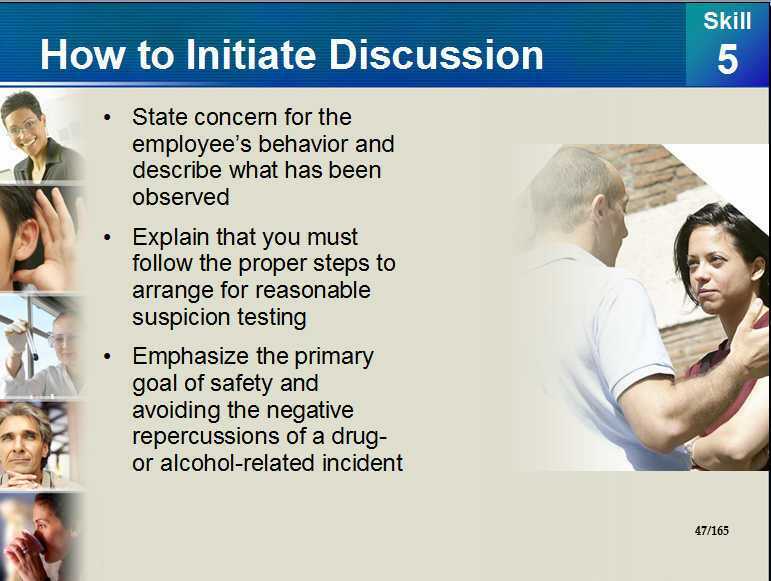 Again, if you create your own DOT supervisor training program in reasonable suspicion training for drug and alcohol awareness, at a bare minimum, include the following points. Specify that addiction is a highly treatable illness, and that success rates consistently approach 70-80% with good follow up by the supervisor when monitored by an employee assistance program or some counseling agency that can communicate directly with you to keep you on top of progress or lack thereof. This is key to success because the leverage of job security motivates alcoholics and addicts to follow through, and they actually appreciate this pressure as grow in sobriety. 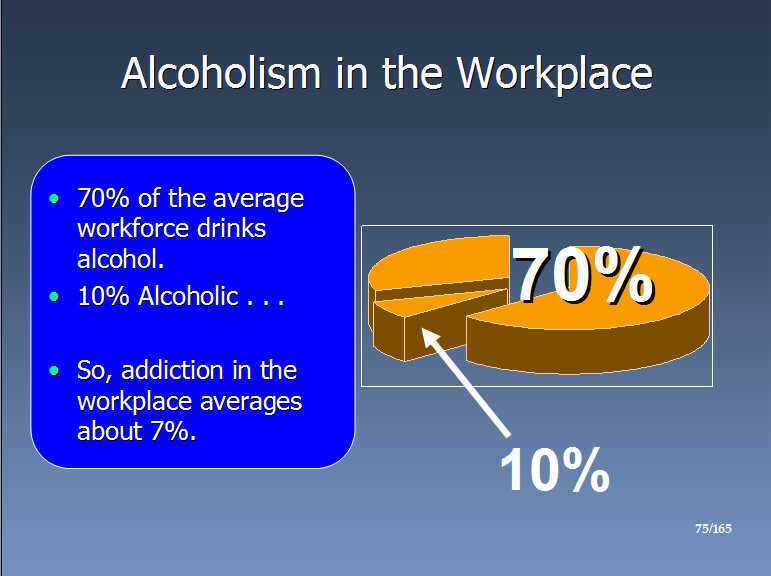 ► Stigma about alcoholism in the Reasonable Suspicion Training PowerPoint. There are many false beliefs about addiction and alcoholism. Since this is the most important drug of abuse that effects the workplace, it must be discussed or supervisors will literally walk away from an employee who has alcohol on their breath. Here's the point. Every supervisor, in fact everyone, has some concretely held belief about what alcoholism, alcohol abuse, and drug addiction is, what causes it, who gets it, how to treat it, and how to quit. Most are all wrong on all accounts. ► PowerPoint Tip: Take Action and Confront Employees the First Time. Early action by supervisors in response to job performance problems associate with drug and alcohol use increases the rate by which addicts are helped due to earlier intervention. When problems with supervisors and their willingness to confront employees, dysfunction grows more Symptoms of addiction that the average untrained individual may easily associate with a drinking or drug problem may not appear in the workplace until 15-20 years after the diagnosis exists. 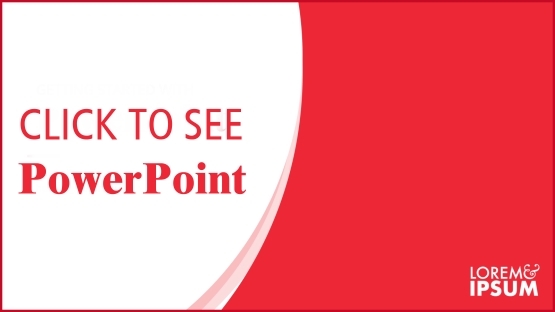 ► PowerPoint Tip: Don't Let Supervisors Be Fooled. A history of strong contributions to the organization by the alcoholic or drug addict inhibits referrals to the EAP when problems emerge, so be careful. Do not let supervisor travel down the slippery slope of “let’s keep waiting and see if things clear up. ► The Fear of Job Loss Is Powerful. It is a motivator to consider treatment and stay in it. This is why EAPs have worked so well in getting employees into treatment. This leverage is frequently more powerful than fear of family breakup for the alcoholic or addict. ► Your Employee is Not Really in Denial. Most employees, by the time job performance is affected, have some unspoken awareness that alcohol or drugs plays some role in their personal problems. However, they are not self-diagnosed as addicts by this awareness. Instead, denial becomes a survival tool to avoid the belief that abstinence or treatment is necessary. At this point alcohol or drugs work too well and feel too good. Dependency to relieve withdrawal symptoms (frequently mistaken as "stress and anxiety") is so strong that the thought of treatment creates enormous anxiety and fear for the addict. Can you see how the above content will make an impression on DOT Supervisors in your DOT Compliance Training Course?